Parsing Miami Vice: Screen Shots on the Figurative Wall is Cinema Romantico’s sporadic pseudo art exhibition in which we peruse frames from Michael Mann’s Miami Vice (2006) like the paintings they pretty much are. 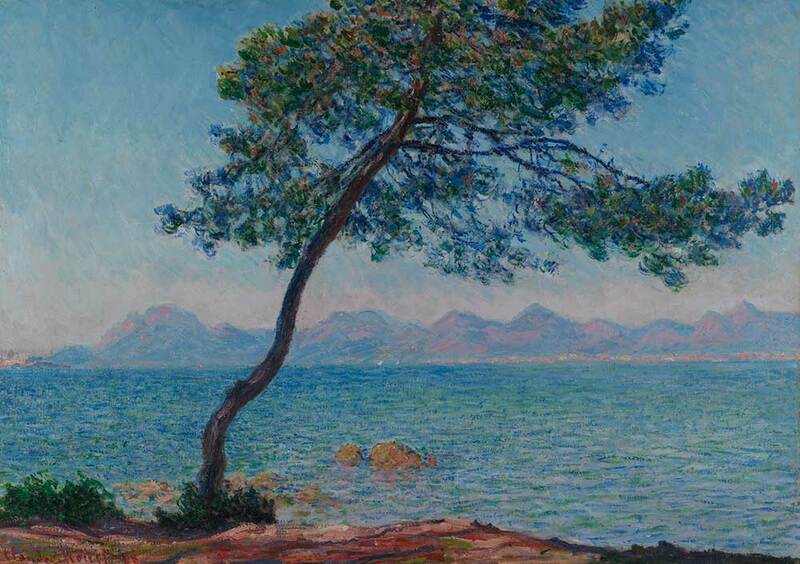 Earlier this year I saw my man Claude’s painting Antibes, 1888 at The Courtauld Gallery in London. 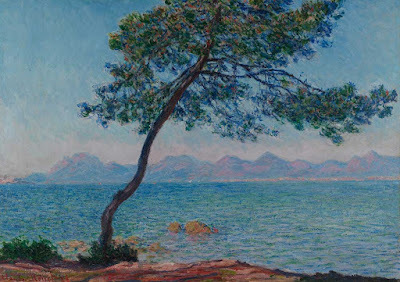 The placard quoted Mr. Monet himself: “What I bring back from here,” he said of Antibes in the south of France, “will be sweetness itself, white, pink and blue, all enveloped in this magical air.” Truth. The gallery room bearing the painting was small, empty, and I spent a long time with it. The tree, as are so many other objects in Monet paintings, just a kind of formal specificity in the foreground; the point is everything else. Not everyone was dismissive of “Miami Vice” upon its release, as this blog can attest, and as, say, the righteous Manohla Dargis review in The New York Times can go to show, but the box office was nevertheless lackadaisical and the grades at that bastion of math, Rotten Tomatoes, were low. But that, as the reappraisals have gleaned over time, stemmed from the movie’s disinterest in narrative and its avant-garde leanings, preferring visual poetry culled from negative space, which is how Steven Hyden put it for Uproxx. You see this in the dramatic lead-up to the climactic shootout, where the people are just sort of blots against the big blackened sky. You see this when Justin Theroux’s character is standing guard as his machine gun, enveloped in the darkness, becomes beside the point, deferring to the puffy white clouds. You see this on a rooftop where the charged nature of the characters’ conversation’s got nothing on the looming mounds of cumulonimbus. You see this is in a romantic episode down Cuba way where a movie of drug cartels and white supremacists momentarily makes like a damn gallery postcard. You see this in a speedboat race through Biscayne Bay where we never even find out who wins because none of these go-fast boats can compete with that aerial panorama. That, as our sporadic 2018 blogging art show winds up, brings us to the best shot in “Miami Vice.” I have written about the shot before, but that was less a contemplation of the actual frame than a romantic speculation of its genesis. And I suppose I know I loved the shot from the beginning simply because I am a sucker for storm clouds. But considering this shot in lockstep with Claude, I see now that the jet, while proffering the trigger for the scene, is also just the tree in Antibes, 1888. And what would normally seem the negative space in the frame becomes, in fact, the point. Here, in the space of that sky, lo and behold, Michael Mann, genius evermore, did not just capture a Miami sky on camera; he brought the sweetness of that goddam sky back with him. 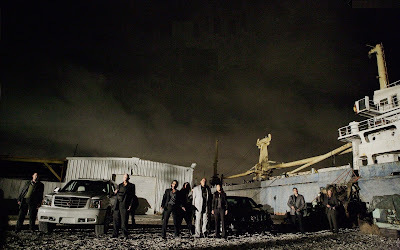 Great stills here. I could stare at pictures from this movie all day long. Long live Miami Vice!